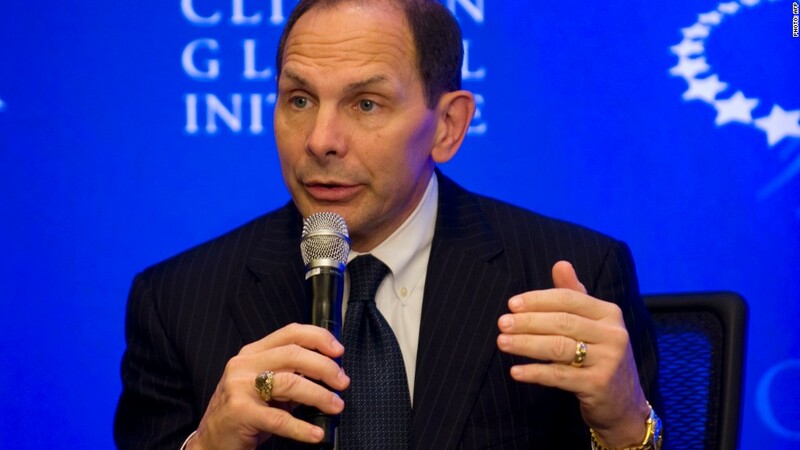 Bob McDonald, a former CEO of Procter & Gamble, is President Obama's nominee for Veterans Affairs secretary. For the most challenging turnaround job in the federal government, President Obama wants to tap a former CEO. Bob McDonald has been in the hot seat before. He took the helm of global consumer products giant Procter & Gamble (PG) in 2009 amid the throes of the Great Recession. His task was to restructure and streamline the company, no easy task for a company with recognizable brands as diverse as Bounty paper towels, Duracell batteries, Pampers diapers and Tide detergent. Although he was ousted from the top job four years later, his legacy at the company includes growing sales and profits in rough economic waters. His critics argued the company wasn't moving fast enough to improve efficiency. Chief among them was hedge fund investor Bill Ackman, who charged that McDonald served on the boards of too many other organizations to focus properly on P&G's needs; the company said Ackman's claims were overstated. McDonald will be announced on Monday as Obama's nominee to lead the troubled Veterans Affairs department, a White House official told CNN's Jim Acosta. Secretary Eric Shinseki stepped down in late May amid allegations of shortcomings in medical care for veterans. To land the job, McDonald must be confirmed by the Senate. McDonald began his rise to the corner office in 1980, when he joined P&G as an entry-level employee after five years in the Army. In his final year as CEO, he was paid nearly $16 million, according to documents filed with the SEC . By the time he took over in 2009, the company was in need of cost-cutting. McDonald responded with a plan that would save about $10 billion over four years, including a significant cut to the marketing budget and a 10% workforce reduction. That wasn't enough for Ackman, who bought nearly $2 billion in P&G stock. The board eventually let McDonald go. He was replaced by A.G. Lafley, who was also his predecessor. Ackman told CNNMoney at the time that Lafley's only mistake "was who he picked to succeed him, and now he's going to fix that." The company won several awards under McDonald's tenure: it was twice named best company for leaders by Chief Executive Magazine, and ranked first among over 2,000 companies in a leadership study by the management consultants at Hay Group. McDonald currently serves on the board of the Xerox Corporation (a post he held while CEO of P&G) as well as U.S. Steel and several advisory groups. He has donated to the political campaigns of several prominent Republicans, including 2012 presidential nominee Mitt Romney and House Speaker John Boehner. McDonald was first named to the Advanced Manufacturing Partnership Steering Committee​ by President George W. Bush, an appointment that was renewed by Obama.